Anna University Zone 16 Men Volleyball Tournament held on 10.09.18 & 11.09.18 at Sri Raja Rajan College of Engineering Karaikudi, Our college men team secured Runner Position in this Tournament. Students Placed in "Nirmiti Precision Pvt. Ltd. & Logical Lab Pvt. 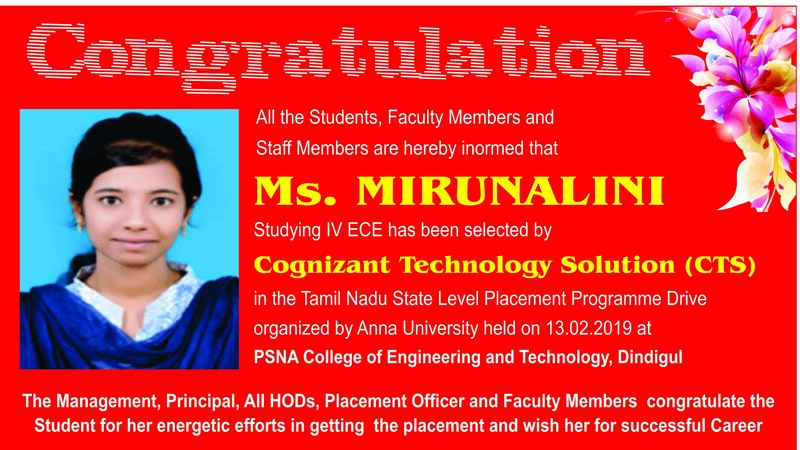 Ltd."
Heartfelt Congratulations by the Management, Principal, Vice Principal, HODs, Faculty and Staff Members for the following IV Year Mechanical, CSE and ECE Students who got placement in Nirmiti Precision Pvt. Ltd. & Logical Lab Pvt. Ltd."
Students Placed in "Galaxy Glass Products Pvt. 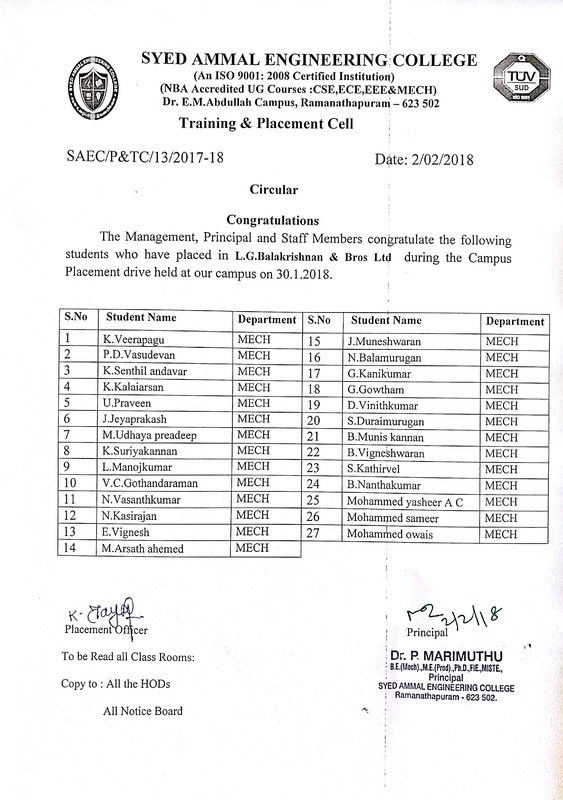 Ltd."
Heartfelt Congratulations by the Management, Principal, Vice Principal, HODs, Faculty and Staff Members for the following IV Year Mechanical Students who got placement in "Galaxy Glass Products Pvt ltd."
for the Students who have placed in SCIENCOTONIC EDU Pvt Ltd., Chennai. 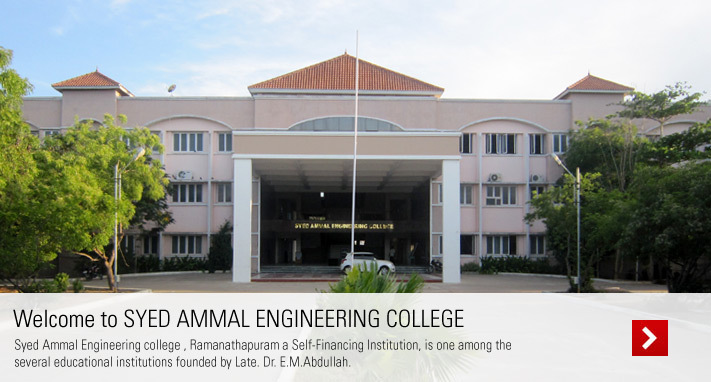 To be an Institute of eminence and to evolve disciplined and globally competent engineers and technocrats. Generating an enabling environment for academic excellence through quality work. Moulding rural students into professionally competent and intellectually proficient employable force through curricular, co-curricular and extra-curricular activities. Creating globally talented human resources with ethical outlook and moral values, for the larger benefits of the society. In view of the directions of the Hon’ble Supreme Court in SLP No. 24295 of 2006 dated 16-05-2007 and in Civil Appeal number 887 of 2009, dated 08-05-2009 to prohibit, prevent and eliminate the scourge of ragging including any conduct by any student or students whether by words spoken or written or by an act which has the effect of teasing, treating or handling with rudeness a fresher or any other student, or indulging in rowdy or undisciplined activities by any student or students which causes or is likely to cause annoyance, hardship or psychological harm or to raise fear or apprehension thereof in any fresher or any other student or asking any student to do any act which such student will not in the ordinary course do and which has the effect of causing or generating a sense of shame , or torment or embarrassment so as to adversely affect the physique or psyche of such fresher or any other student, with or without an intent to derive a sadistic pleasure or showing off power, authority or superiority by a student over any fresher or any other student, in all higher education institutions in the country, and thereby, to provide for the healthy development, physically and psychologically, of all students, the All India Council for Technical Education,(AICTE) brings forth these Regulations.